The Original Bulldog concept was basicly all 3 variant’s into one at concept sale! To me that already decreased the value of the original purchase after all you have less functionality, then what was originally sold now on the Warden. Of course now if you wanted those same function back, you either buy the two variant’s for an additional 280$ Harbinger + 265$ Sentinel or the 2 BUK's 45$ Harbinger + 25$ Sentinel to get back what you paid for in the first place. Then they brought it out to the hangar ready version, and all cool features weren’t there yet! WIP they call it! Skids instead of treads, No retractable turret, No internal missile bay, the cool brush flaps on the back and closing top armor when the turret was retracted, changed overall look. Then to Flyable ship, nothing changed new texture whoopee! Yet still not what was on the concept animations! Basicly the Vanguard Sale from Concept to delivery as flyable is one big money grab and an underdeveloped ship. A. to have the same functions sold at concept you have to put additional money in. B. The ships cool features are all gone and it’s a copy and paste glued ship from Retaliator & Sabre parts. They keep saying, "Hey it still getting the redundant systems" but those wore promised too in concept sale. The price of 250$ doesn't fit the value anymore of the Warden. The Vanguard is the first in the new pipeline I fear more will follow down this path. I DONT CARE ABOUT STATS they will change over time to balance anyway but looks at least put the effort in to give what was promised instead of giving a fast glued together ship. The phrase "Subject to change" does not warrant giving out a devalued ship! Chris Roberts said he wanted to do it right and take the time it needs to deliver! Yet here we are, a ship rushed and underdeveloped. The Redeemer looks far better at same value or will it get the same nerf on the new pass to make it more Aegis and look far less than the Retaliator. Assuming this is not hyperbole then; no. With EA you'd have never seen the concept to get upset about. The project has been always, if nothing else a work in progress. I have expected zero things to remain the same and feel doing so is a recipe for missed expectations. 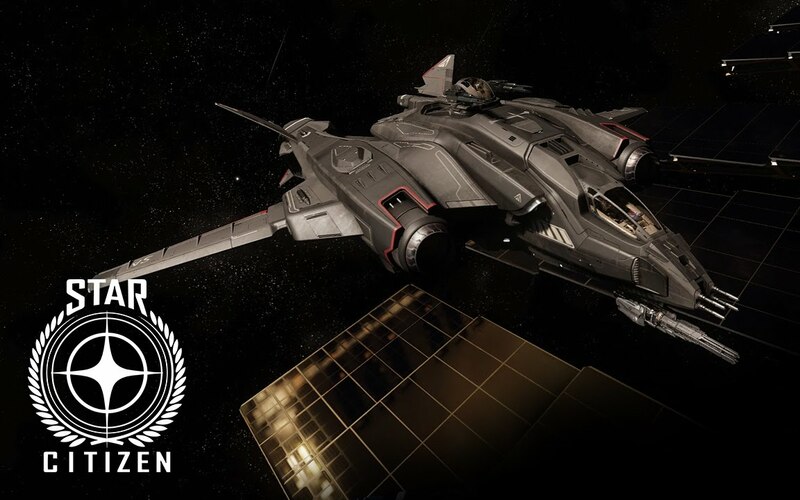 It is my opinion that not a single one of us pledgers should be sending CIG money for anything at all as advertised (aside from the idea of the project). I've not sent a single cent to them based on what assets they have advertising and just worry that many, MANY people doing just that. If they feel something needs to be changed, I want it changed. Doesn't mean I'll like all of the changes but I trust them or would not have sent them so much funding. Getting worked up about this kind of thing just seems like wasted emotion until after retail. That doesn't mean we shouldn't give them feedback, just that I personally don't like campaigning for changes in games. All that said, I love your passion Pappy and hope that the ship manages to meet your expectations or you get to a place where it's an accepted reality and no longer bothers you. Mage wrote: I have expected zero things to remain the same and feel doing so is a recipe for missed expectations. I think both sides of this argument have point that I agree to. Such as Pappy thinking that spliting 1 ship into 3 varients and requiring more money to get the full functionality of 1 ship. But also I agree with mage in that WE DO NOT support cig for SHIPS. I've done some research on production times and costs of various games if anyone cares for me to post it to this conversation not sure how much help it might be with this thread. I understand your upset about his Pappy, but CIG has always made 3 or more (Aurora) variants of ships after the concept. Like Mage, in his words, has said everything is subject to change. I also agree with Gotrek65, I think the title is basically click bait.